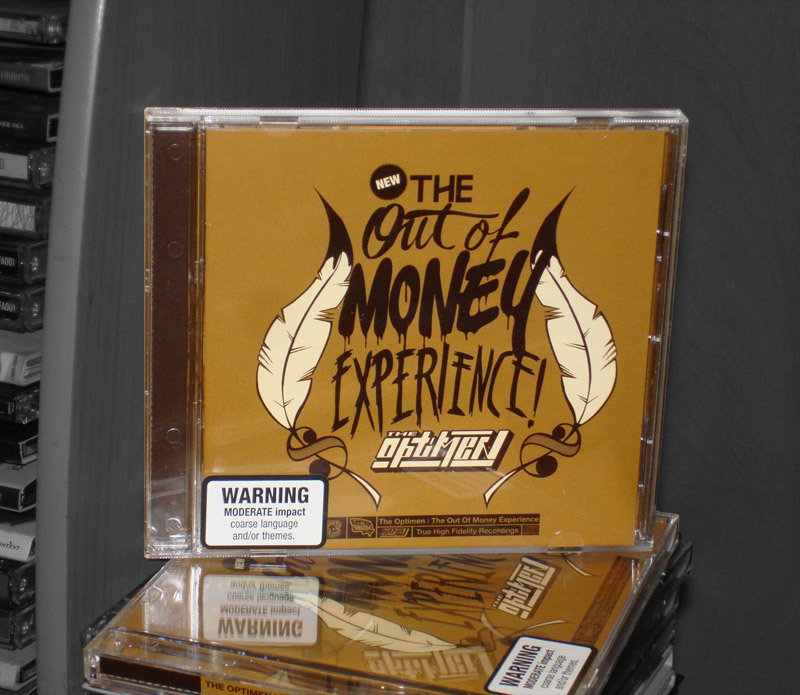 We like to run competitions and giveaway free stuff and thanks to the guys at Red Tape Entertainment and Heapsaflash Media we have two copies of The Optimen‘s new album The Out of Money Experience up for grabs; i’ve been listening to it all weekend and it’s damn fine. If you’re looking for some stand out tracks from the album, theres the two leaders we’ve already heard Firefighters and 80’s Babies (not to be confused with 80’s Baby by Choose Mics) along with Pay Cheques and my favourite Something In The Air ft. Lazy Grey. Don’t be fooled though, theres 18 tracks (2 remixes) on this album and it’s fair to say theres a tonne of quality. Every comment posted between April 11th and April 18th 23:59 +8GMT on RhythmAndPoetry.net (anywhere on the website you can) counts as a 1 (one) entry. On April 12th, no later than 20:00 +8GMT we will randomly select two winners from the comment pool. A post will be made on April 13th notifying our readers of the winners. Multiple comments on the same post count, but constantly talking to yourself won’t win you any entries (or friends!). All comments are moderated and we reserve the right to reject your comment; we’re open to your views, it’s all about how you approach it. Trackbacks count, but not from spam sites. Posts and Pages older than 120 days have and always will have their comments closed; it’s a housekeeping thing. 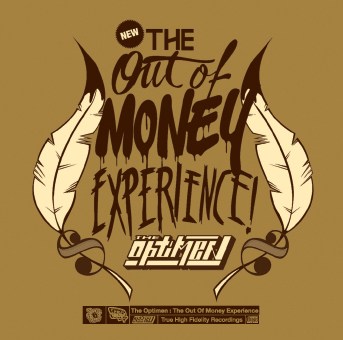 The Out of Money Experience was released on 9th of April and is available at most good record stores, or alternatively you can grab it at iTunes; that is of course, if you don’t win. havnt herd nothing from this album yet but its on ma list to get … have heard sum good things bout it =] oh wait i did see 80s babie clip pretty dope hope it has more goodness to offer peace!!! I wouldn’t mind adding this CD to my collection. Not a bad band either. I’m listening to this right now. Clean prod. with chill beats, punchy layed back rhymes. DATS and Sammsonite are easily ranking up in my top ten producers in the country. Havent got the album yet but seen them live heaps and they are dope as. The Optimen Jus keep gettin’ fresher with every album they drop, an the production values are dope on this one. Big Ups for representin’ Brisbane. Heard heaps of good stuff about this – but haven’t had a listen yet! Been hanging out for this album, so hope i win it!!!!!!!!!!! Represent! not sure if you’re able to order online or not, but for future stuff (or if you don’t win) i’m pretty sure Soul Clap Records deliver international, check em out. I really liked 80s babies. I hope I win the CD.